Teeny Treats, New Toy, and Ready To Run! This week a lot of great things happened. I was reading on Lapdog Creations of the ASPCA Virtual 5k and, in an effort to stay active, signed up. I’m looking forward to training early in the mornings. This summer ended up being rainy and miserable so I’m optimistic this fall will be nice. Registration included a numbered bib, a finishers medal for me, and I opted for finishers medal for Dexter. The 5k doesn’t have to be done on a specific time or date, and because Dexter gets fairly winded after 1.5 miles, we’ll break up the walk into two sessions. Our team page is here, and our goal is to raise $100 for the work the ASPCA does for animals across the country. Look for pictures when the registration package arrives and when we complete the walk! 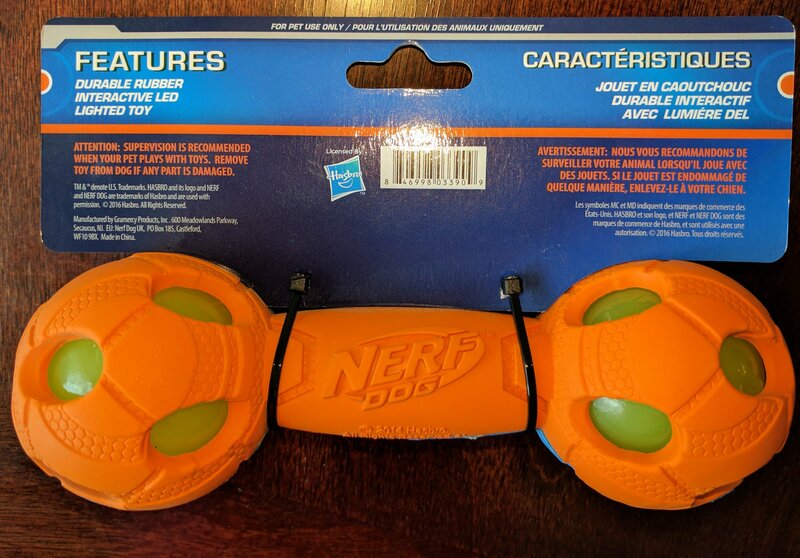 Today was grocery day and while at Wegmans shopping picked up some fun things: more Buddy Biscuits, some Bag Balm for Dexter’s foot, and a new toy: a blinking chewy toy. Buddy Biscuits come in two sizes (regular and Teeny Treats). The Buddies come in two flavors Roasted Chicken, and Peanut Butter, Grilled Beef, and Bacon and Cheese. All of the flavors have limited ingredients, and are equally addictive! I use the Teeny Treats in a puzzle toy. They fit great and are a huge motivator! Both dogs at home are chewers. We can’t seem to keep enough to in the house! 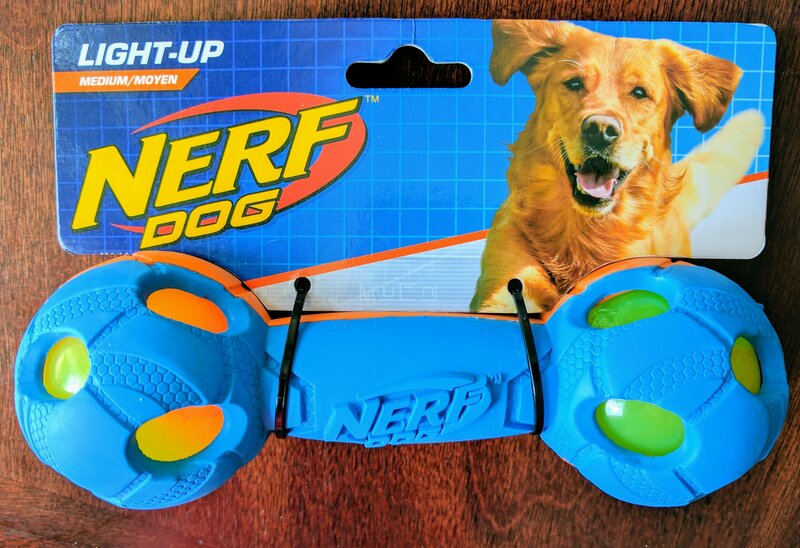 This fun made by Nerf feels durable, about 7-inches long, and has flashing lights in each end. There package doesn’t give any indication that the batteries are replaceable, and there aren’t any places to access a battery- which is probably a good thing! Lastly, Bag Balm is a petrolium jelly great got chafed skin, and minor scrapes. 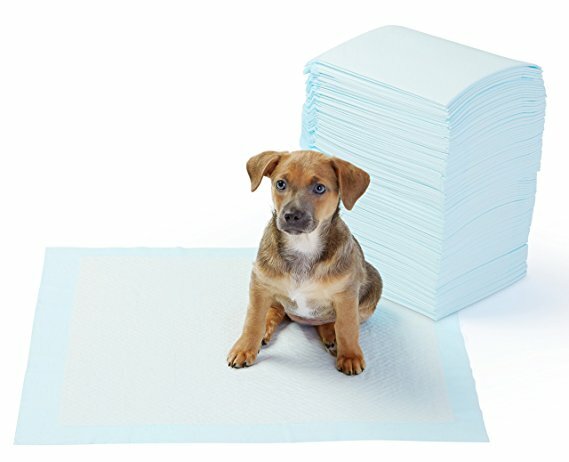 Will out on a walk, Dexter got excited and pulled on the leash which ended up in him scraping one of his pads on the asphalt, causing a scrape he was tendering. Bag Balm is useful for people hands and dog (and cat) paws. As I’m writing this, a Slow Cook Pork Carnitas rost is cooking away and the house is smelling great! The dogs are going crazy begging for some. Super easy and hard to wait for! 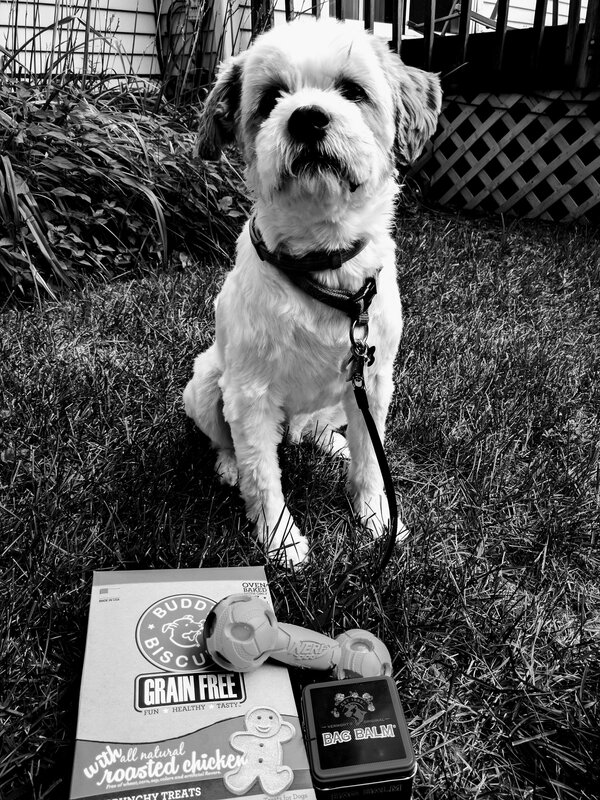 This entry was posted in barking, events, fundraiser, nutrition and tagged toys treats weekend on August 19, 2017 by dexterkelly.